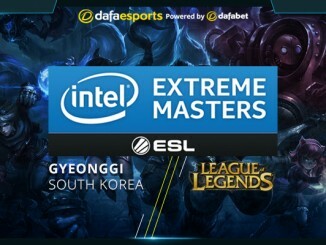 With all the qualifiers known and the groups drawn, we can now anticipate with relish the epic Starcraft II clashes at the IEM Gyeonggi, which runs from 16-18 December. Let’s take a closer look at the groups. The star name in this group is Zest, who finished 2nd in the recently concluded HomeStory Cup and 3rd-4th at the WCS Korea Season 1 Cross Finals earlier this year. His greatest achievement, however, was winning the 2016 Global StarCraft II League Season 1 back in May. Leenock last won a tournament in September last year – The World Leisure Games 2015. The player was an imposing figure on the StarCraft II scene from 2011 to 2014, but he has been struggling to repeat his success since then. Trust is a relatively young player who arrived on the pro scene in 2013, but he has never been able to secure a top spot in his career so far and expectations for him are not high. soO has been known for his 2nd place curse in the past, but this season he has performed far worse and little is expected of him here. Zest is the favourite and his form against Zerg is quite impressive, with a 70.58% win rate. The second spot will most likely be contested between Leenock (78.57% against Zerg) and soO (81.25% against Zerg). The two players met in April with soO winning the best-of-one encounter as part of the Pro League series. Stats has had a great year and is undoubtedly the in-form player in this group. He has an impressive record, with one 1st place, one 2nd and three 3rd-4th finishes in Premium events, including a 3rd-4th place finish at the 2016 WCS Global Finals. Arguably one of the best players of 2015, INnoVation has since struggled to repeat his success on LotV. The minor Leifeng Cup 157 has been his only tournament win this year, and failed to qualify for the WCS Global Finals. It should also be noted that he was a winner of the IEM Season X – gamescom in 2015. Losira’s best year in StarCraft II was 2011 when he won one and came 2nd in two Premier tournaments. He last won a tournament in July 2015 and achieved a 3rd-4th place in the minor Leifeng Cup 154 last September. He did not make it to the WCS Global Finals. herO is the first player to win three IEM Championships, as well as being the player with the most wins to date in IEM events. He finished IEM Season X – Taipei in 3rd-4th place in the last edition, which is his best achievement in 2016. Stats may appear to be the most impressive name in this group, but he will have to work hard against former winners INnoVation and herO for the top two spots. Stats is struggling quite a bit versus Terran (as was demonstrated during the WCS Global Finals in the semifinal against ByuN) and has won only 48% of his last 52 Terran encounters. On the other hand, herO’s recent best matchup is versus Protoss with a 71.43% win rate, while INnoVation has balanced stats against every race with 68% win rate or over. It is worth pointing out that Stats has participated in quite a few of the top tournaments this year and has faced mostly top level opposition throughout the season. Alongside Solar, Dark is probably the best Zerg player in the world right now having won the 2016 StarCraft II StarLeague Season 1, as well as the 2016 WCS Korea Season 2 Cross Finals before finishing 2nd at the 2016 WCS Global Finals. 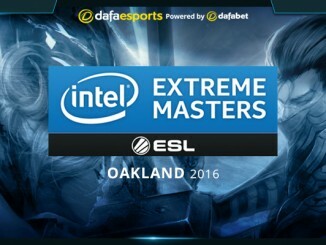 Classic was a winner of the IEM Season X – Shenzhen last year. His record also includes a 3rd-4th spot in the 2016 StarCraft II StarLeague Season 2. Jjakji shone in 2011 as the youngest player at the time to win a GSL event. Unfortunately, as he was quick to shine, he was also quick to fade and wins in high level tournaments have eluded him in the past two years. ByuL had quite a successful 2015 when he was among the very best Zerg players, finishing 2nd in three Premier events. He has not been able to repeat this in 2016 though, only managing to secure 2nd place in the minor StarCraft II Cataclysm Tournament. Group C favours Dark as a winner, who is for many the best Zerg in the world right now. The second spot will most likely be contended between ByuL and the former champion Classic. The Protoss player has not played many games lately, but in the last seven Zerg encounters, he has been triumphant in six of them. Compared to him, ByuL seems rather unconvincing with his 10 wins out of 19 games against Protoss. This group is led by the current WCS champion and arguably one of the current best players, ByuN. Apart from becoming the StarCraft II world champion, his most impressive achievements this year include a 1st place in the 2016 Global StarCraft II League Season 2 in September, alongside several other minor tournament wins. 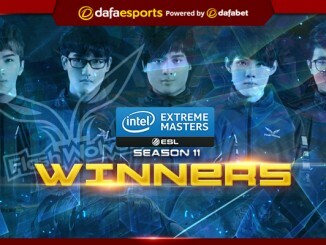 He was also a finalist in the previous edition of IEM, the IEM Season X – Taipei. iAsonu is the only non-Korean player in the tournament. Playing predominantly on the Chinese scene, he was unlucky to be drawn in what is the ‘group of death’ in the tournament. Nevertheless, iAsonu score four wins against Korean players in the qualifiers, including a 2-1 vs ByuL, and showed that his skills can match the level of the tournament. For parts of 2015, Maru was unquestionably the best Terran. This was certainly the case when he won the 2015 StarCraft II StarLeague Season 1. He has not been able to repeat this form this year though and has only managed to finish 2nd in the WESG 2016 – Asia-Pacific Qualifier as well as the minor Leifeng Cup 149. Solar is one of the best Zergs around, but is also lacking in form. He was one of the favourites in the 2016 WCS Global Finals last month, but crumbled in the group stages. Earlier in the year, he won the 2016 StarCraft II StarLeague Season 2 and came 3rd in the StarCraft II StarLeague Season 1. As the current WCS Global Finals champion, it would be hard not to see ByuN as a favourite in the group. Nevertheless, players like Solar and Maru are equally elite. Unfortunately for Solar, Terran has been his weakest matchup recently – 61% with 11 out of 18 wins – while Maru has been performing great against Zerg in his last 20 games with 17 wins. To become the world champion, ByuN won at least one matchup against every race and although his win rate against Zerg is just 61.76% (21/34), he won against none other but Dark in the WCS Final. 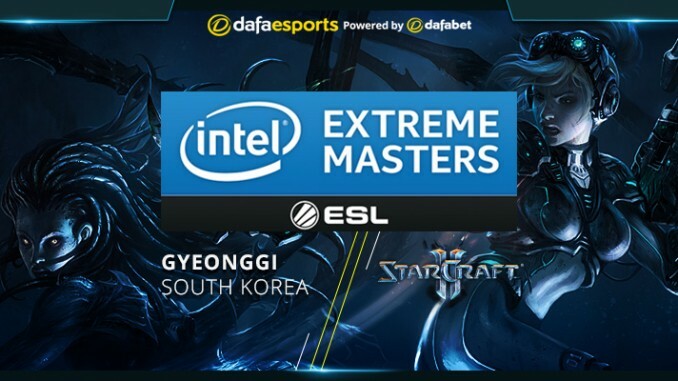 Plenty of interesting ties and fascinating matchups await us on the stage of the IEM Gyeonggi. Although each group has a prominent favourite, there will be plenty of classy opposition who, although not in their best form, know what victory tastes like and have what it takes to become the champion.